A lot has changed since the early days of email marketing. We receive more emails than ever, yet there seems to be less and less valuable content. In today’s marketplace, there are many reasons why email marketing is important for your business. 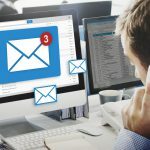 Knowing modern email etiquette will not only get you more eyes on your sales copy, but make you better at responding to enquiries and responses. Are you concerned that you don’t quite understand the do’s and don’ts of the modern email? Read on and find out just how to craft great letters and responses for your next digital campaign. The modern trend is to stay brief and on point with your email. That’s partly because of the effect that text-based chat apps, like Facebook messenger and Whatsapp, and SMS have had on our written communications, but it’s also influenced by the fact that the average office worker receives over 100 emails a day. Even before customers read your responses, they are sifting through their inbox and prioritising what’s important. If your emails are too long, ramble on, or don’t address the concerns of the original email, you’re going to get earmarked as a ‘read later’, which means there’s a good chance you won’t get read at all. In most circumstances, the overly formal email is a thing of the past. Modern etiquette is to keep salutations and sign offs friendly, along with a nod to any personal knowledge, such as “best of luck with the cricket match this weekend” or “let me know if I can give you a call after your morning meeting”. This can be tough to achieve in conjunction with the mandate to keep it brief, but if you can demonstrate to your recipients that you will address their concern while tipping the hat to your existing relationship and keeping it brief and to the point, your clients will actually look forward to opening your emails. This can only mean good things for you in future correspondence. In the early days of the web, email responses could take several days. It was generally accepted that the response rate could mimic an actual letter. In modern times, with the prevalence of chat and the ease at which we can access our emails, anywhere and anytime, modern etiquette demands a quick response. Your clients are already reaching out to you with questions, concerns or general worries, so don’t leave them hanging. Be prompt and efficient in your response. Make sure they understand where your priorities lie (with them) and address their concerns, as well as arranging any follow ups. Remember, everyone that reads your marketing email is a real person with their own hopes, dreams, and concerns. Showing respect for that and making them feel like they’re the only one you care about will go a long way in just about any type of email correspondence – marketing or otherwise. A clearly marked “unsubscribe here” link at the bottom of each email is the standard etiquette. In fact, in some places it’s law. Most people know where to look, and making it easy to unsubscribe means there’s no ill will generated between you, your business or service, and the unsubscriber. Modern marketing techniques focus on putting effort into customers that actually want to buy your products. Having a big list is irrelevant if your response rate is tiny, so losing subscribers who aren’t interested anyway isn’t a loss, it’s a bonus to your dataset. Always honour the unsubscriber. There’s nothing more frustrating than asking to be removed from a mailing list then getting another email a few weeks later. Email etiquette demands that the recipient only request once to be removed from a mailing list. The same etiquette applies to email response chains that have been around the block and through a few sets of hands. Remove any excess re: and fw: prefixes and tidy up the subject line so it addresses the recipient’s enquiry, not the (irrelevant) original request. Remember, the only names that go in the “to” field are those for whom the email is for. The “cc” is for folks who need to be kept abreast of the circumstances but don’t need to take action. And “bcc” is used infrequently, and only if you want to keep someone involved without other recipients knowing. Often, it’s more prudent to just forward the email to the “bcc” recipient and start a new chain, in case the “bcc” recipient hits “reply all”. putting the best, most relevant copy in the first paragraph. using subheadings to structure information. finishing with a strong conclusion. Use short paragraphs and dot points to help organise priority information, and always remember there’s a real person on the other end of the email who is spending their valuable time reading, so respect that and don’t waste it. Automation is how an email marketer scales their business process, but it can also have its drawbacks. Automate carefully, testing each step of the way and use your email data to make informed marketing strategies. Too much automation and not enough personalisation will make your emails feel uncrafted, robotic and drawn from a template. Crafting suitably personal salutations and sign offs is one easy way to temper the automation pitfall. Keep it concise, personal and engaging and you’re well on your way to writing great email copy for the 21st century. Want to create more effective email marketing campaigns? Are you seeking to gain a better response from your messages? Do you know how to connect with your customers so they engage with your business? We hope you’ve gained some critical insights out of this article. As always, we encourage you to talk to Blue Star Direct today for any further advice on how to engage your clients with relevant, important and intended messaging.